Jaquito: 3 Jaquitos in 3 Days! 3 Jaquitos in 3 Days! I think it's safe to say Juanita, my new dress form, is increasing my productivity. I just made three jaquitos in three days! This cutie might make RASPBERRY my new favorite color! Lovely rose on the back with unique frill at the bottom. 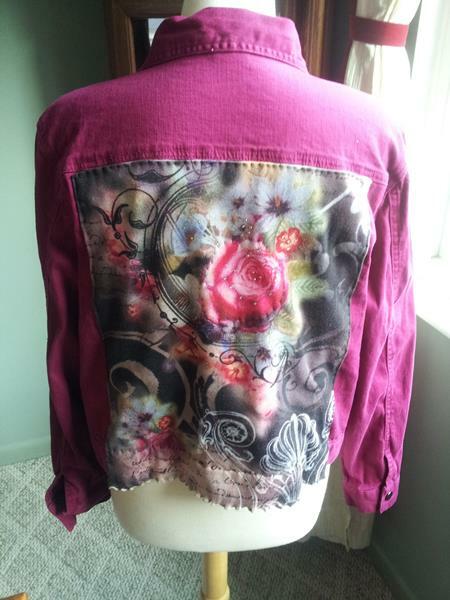 Pink rose applique on the left arm. Stretchy spandex denim. 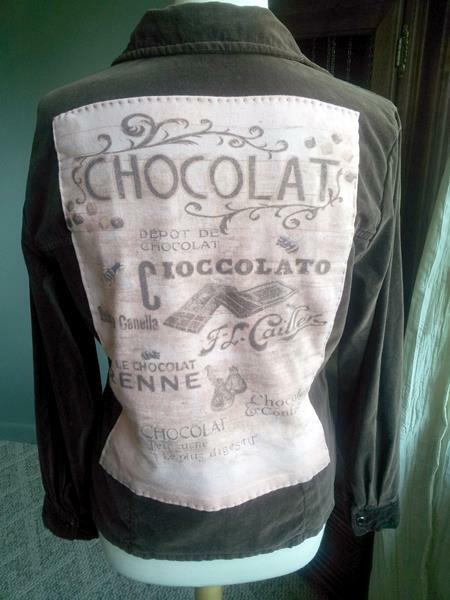 Inside AND handwarmer pockets. Size XL (20). 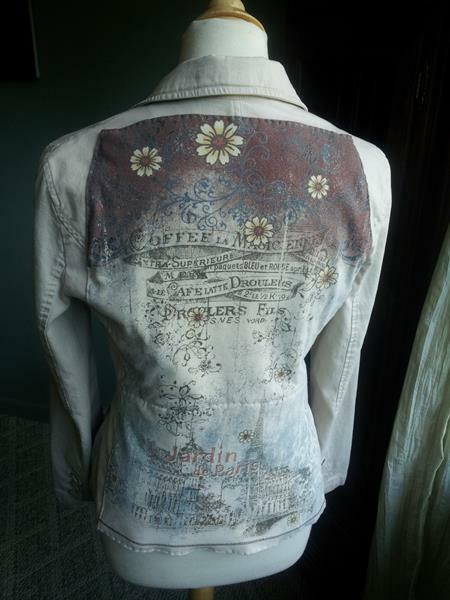 This canvas blazer has a Paris cafe motif with flowers on the back; custom silvertone buttons in front, including a daisy button on the breast pocket. 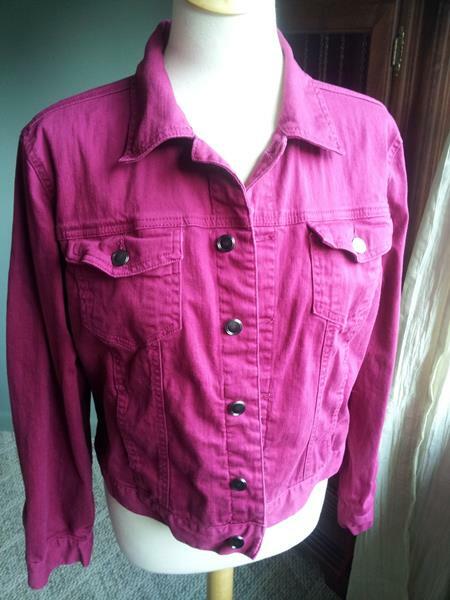 Size M (8-10). 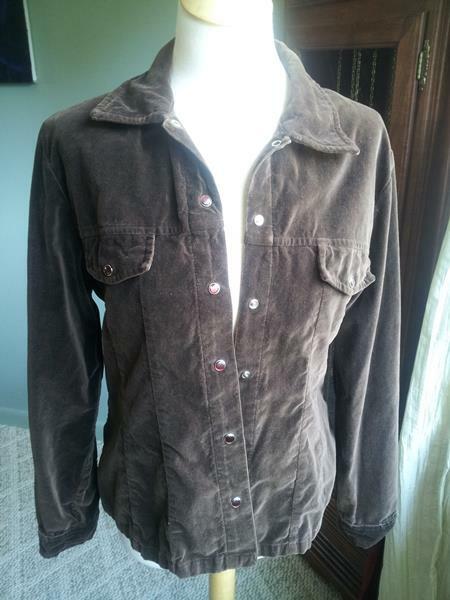 Finally, this deliciously warm brown velvet overshirt has a pink CHOCOLATE motif on the back. Pearly snap buttons. 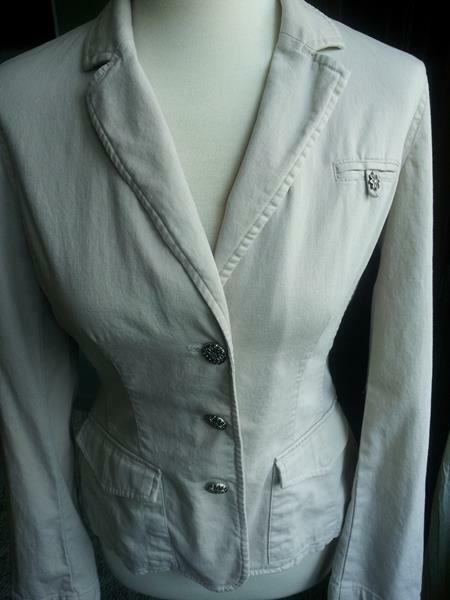 Size M.
All jaquitos are $35. Leave a comment to reserve one. Thanks for looking! X-Men T-Shirt ready to be claimed!